The oil price is a source of endless fascination in our industry. Entire careers are built on following its daily peaks and troughs. No wonder: for companies in the oil and gas industry, the oil price provides us with one of very few indicators of likely future demand for our products and services. It’s important. But for engineering procurement and construction (EPC) companies in the sector, it matters less than you might think on a short-to-medium term basis. Longer-term price trends are more important to monitor, and particularly what they mean for project financial approvals, cost models and risk. However, end users and EPCs nowadays are better served examining innovation in their supply chain than watching the volatile daily movements of Brent or WTI. In doing so, they can keep a tighter rein on cost and risk and provide some resilience to projects against a backdrop of fluctuating income. The success of these cost control efforts hinges on building the right type of supply chain to fit long-term sector shifts; on finding partners rather than suppliers. While some in the industry would no doubt like to return to the halcyon days of 2013/14, most of it is steeling itself to thrive at lower project cost levels, mindful of the fact things may never return to how they were. Indeed, since Brent reached just under $85/bbl in October, prices tumbled, going nearly as low as $50/bbl in January. At the time of writing, a barrel trades at nearly $62, more than $7 less than it did a year ago. Rumours of a $100/bbl return duly subsided. What didn’t change throughout the rollercoaster quarter were the deeper trends set in motion by the oil price crash. There has been a broadly recognised shift away from mega-projects with high breakeven costs towards smaller alternatives with less capex, lower risk, and faster time to oil and return on investment. 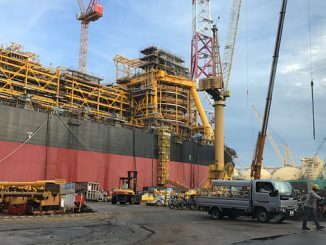 Where once a new platform would have been employed, the industry is using innovative subsea technology to tie-back new finds and stranded reserves to existing assets. However, there are still tightly-designed mega-projects going – look at Mad Dog 2 or the Liza Field development – but nowadays you are more likely to read about new FPSOs (offshore) and fast-track early production facilities (onshore). With the financial sector having had its own major shock in 2008, led in part by cavalier attitudes to risk, the conservative approach of lending institutions is an additional lever behind the trend for lower risk, quicker return projects. Even as the oil price crept up in 2018, banks remained focused on more nimble, entrepreneurial projects. These are the ones getting final investment decisions (FIDs) and this looks set to remain the case for the foreseeable future. So – though big players and major projects still have a significant role to play – it’s the leaner, hungrier operators that are the choicest target for many EPCs. However, being lean has downsides too. During the downturn, engineering teams across operators (even the tier ones) and EPCs have constricted and lots of expertise has exited the industry. This has consequences. 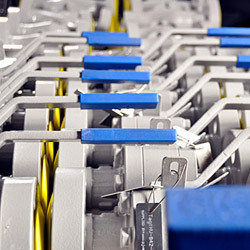 As an illustration, take a look at our world of valves. 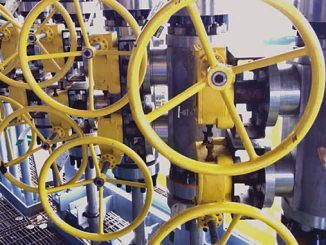 An oil and gas project can feature thousands of valves, each a small part of the overall picture but crucial for safe and efficient production. 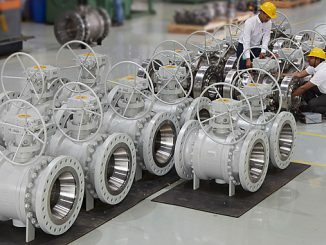 This total number will consist of hundreds or even thousands of different types of valves. The list doesn’t have to be that long. But valves have historically been over-specified and, for an EPC looking to put together a response to tender, it is not commercially viable to spend precious engineering time optimising the components that add up to GBP 10 million when they could be focusing on the GBP 50-100 million project spend for “big ticket” items such as rotating equipment. 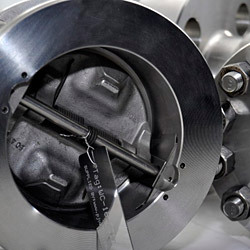 By having a long list of complicated valve types, the complexity of manufacture increases as does the complexity of fitting the valves into line thereby introducing risk of delay to both manufacturing and site construction. In other words, leaner engineering teams without bandwidth to properly scrutinise everything introduce cost and risk. The trick is knowing where to find that engineering time and expertise. 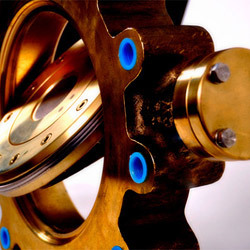 A good place to start is where the valves are designed and made: the manufacturers and suppliers. It stands to reason that the companies designing and making the valves have talented engineering departments enabling them to do so. However, in a traditional manufacturer-supplier relationship, the customer doesn’t get access to the expertise. They just get the valves. By contrast, if an EPC looks for a partnership rather than a supplier-relationship, they can build a supply chain that adds much more value to them. For example, a partner’s engineering team can work with the EPC to optimise the valve list. Often, a valve has been specified because that’s what the specifying engineer for that component has done in the past and doesn’t have capacity to look at changing. Repeat that across a project and the list sprawls. A partner-supplier which understands the valve application as much as the valve product can suggest alternatives and streamline that list. For one customer, we reduced an initial list of roughly 1,500 distinct valve descriptions to 193. With this simplification of product and spares came both capex and opex benefits, in addition to huge time savings in administration. This makes it easier for the supplier to ensure smooth delivery. 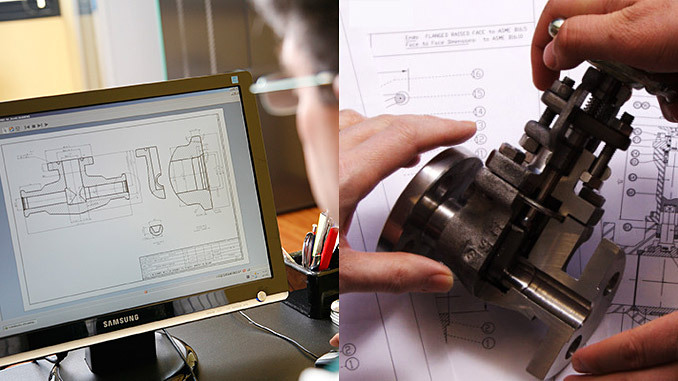 In some cases, to de-risk our customers’ projects, we have executed a model involving early manufacture of a percentage of key components from the optimised valve list that we have helped to develop, based on a pre-agreed price benchmarked against the market. Such a model involves the supplier taking on a greater share of the risk from the buyer, but also allows it to provide far greater value, hopefully creating long-term, trusted partnerships. For the operator or EPC, it means getting extra value from its supply chain to reduce costs and de-risk projects, ultimately building in resilience. So, my challenge to operators and EPCs in today’s environment is to not fixate quite so much on the day’s oil price. Instead, consider the type of supply chain you want to build and the type of company you want to work with. Consider how your supply chain can help mitigate risk, reduce cost and be a source of resilience. Think less about transactions and short-termism and more about long-term value. By doing that, and looking for partners instead of suppliers, operators and EPCs can set themselves up for success whether the oil price is at $50/bbl or 100/bbl. 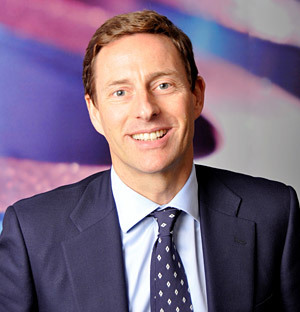 Responsible for group strategy and overall performance, Dan Munro has been CEO of PJ Valves since 2001.